Ahmedabad: The city is hosting Theatre Olympics during 24 March to 7 April. 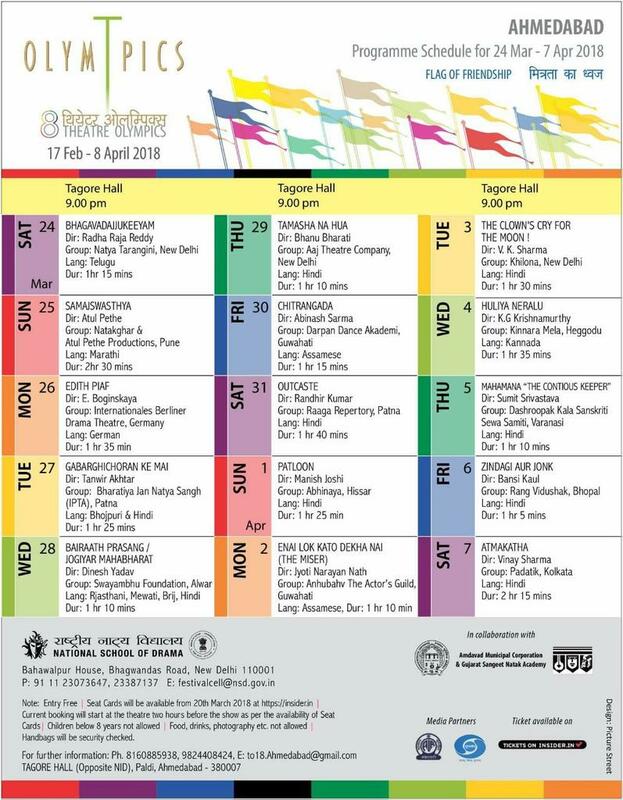 Daily one play is to be staged in city’s Tagore hall. Of them around 7 are Hindi plays. Rest of the plays are in other languages. Entry is free for all. The schedule of event is attached here.